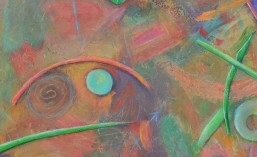 ArtBlog San Antonio | "Art is much less important than life, but what a poor life without it." The newest public art acquisition in the City of San Antonio is right here in our neighborhood. Many may have noticed that there has been an art project going on for the past few months at the Fulton Street underpass connecting the Alta Vista and Beacon Hill neighborhoods. In fact, this goal has been more than 5 years in the making and has passed through the hands of many elected officials and community governance volunteers. Thanks to the City’s 1% for Art program and our District 1 City Council representation (Diego Bernal and Roberto Carlos Trevino), we will enjoy this contribution to our cultural life for years to come. September 2017 is shaping up to be the month of “All Things Chuck”, an homage to the late Chuck Ramirez, a Southtown fixture who tragically passed away in a bicycle accident in 2010. 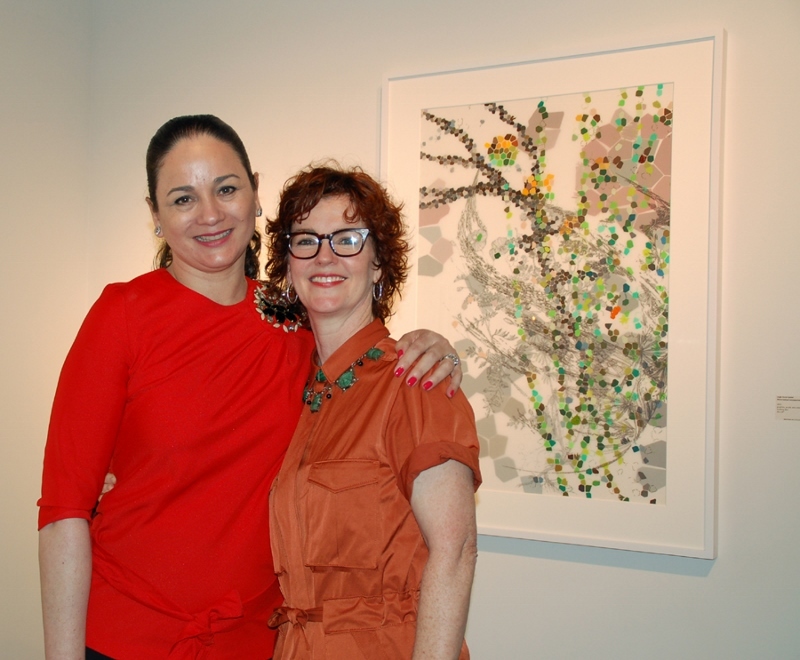 Along with the much-ballyhooed exhibits at the McNay Art Museum and Ruiz-Healy Art, Linda Pace Foundation (LPF) is providing a complement to these exhibits with a tight little show at their SPACE Gallery. “INCITE” opens with a reception on Thursday, September 7, 2017, 6-8 p.m. In addition to works by Ramirez, “INCITE” features artists Hills Snyder, Frances Stark, Diana Thater and Cheyney Thompson, all of which are from the LPF permanent collection. “Secondary Stories,” a room-sized installation designed by Brazilian artist Rivane Neuenschwander, remains in place. Works for “INCITE” were selected by Kathryn Kanjo and Kelly O’Connor. Posted in Art Events, Music, Opening Events. The Linda Pace Foundation is pleased to present the Texas debut of Secondary Stories, a room-sized installation by Brazilian artist Rivane Neuenschwander, who has become widely regarded for her often ephemeral work that explores narratives about language, nature, social interactions and the passing of time. The exhibition, showcasing Secondary Stories as well as three video installation works, opens at SPACE, the public gallery of the Linda Pace Foundation, located at 111 Camp Street, on April 30, 2016 and will remain on view through July 29, 2017. The exhibition is free and open to the public during gallery hours (Wednesday – Saturday; 12-5pm). Posted in Art Events, Opening Events. Medal Love. Fiesta Arts Fair 2015. Photo by Page Graham. After 43 years, Fiesta Arts Fair at the Southwest School of Art (SSA) is still consistently rated as a favorite among Fiesta-goers, young and old. This year’s fair will take place on Saturday, April 16, 10 am – 6 pm and Sunday, April 17, 11 am – 5 pm. Typically 12,000 people attend this event each year, so you are likely to run into a few people you know. Kings Anchovy LI, Michael Bobo and Wayne Beers at Fiesta Arts Fair 2015. Photo by Page Graham. Barbara Hill and the rest of the SSA staff and volunteers work hard to keep the quality and the fun factor high. This year there will be more than 110 artists from across the country working in a variety of media. The show is juried and competitive, so the quality of the work shown is always top-notch. I had the pleasure of serving as a juror for the 2015 event and also exhibited there a few moons back, so take it from someone who knows. This year’s awards will be presented on Saturday, 1:30 – 2:00 p.m.
Patricia Ruiz-Healy and Leigh Ann Lester at the Infinite Horizons opening reception. Photo by Casandra Lomeli. Currently on exhibit at Ruiz-Healy Art is Infinite Horizons: Leigh Anne Lester and Abelardo López. Based in San Antonio, Texas, Leigh Anne Lester combines bits and pieces of wildly divergent species grafted together, the results of genetic modification plans. Utilizing historical botanical drawings as source images, Lester makes delicate graphite drawings on Mylar, layering the film to create composite images, to which she adds additional layers of cells blocked in colored pencil to symbolize the manipulated genome of the plant. Mixing a blown-up view of the microscopic with the naturalistic botanicals, the result runs López’s evocation of infinite distance in reverse. 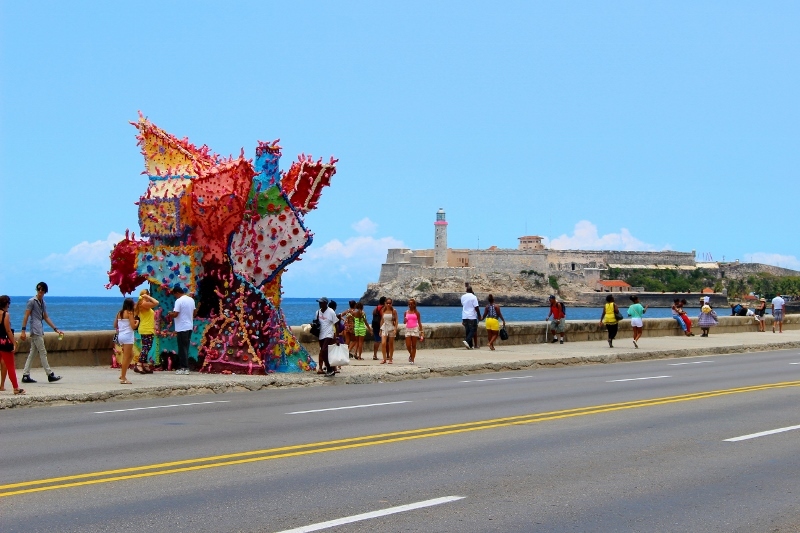 Public art installation on the Malecon boulevard along the Havana waterfront. El Morro, a 17th-century fort, is in the background. Photo by Page Graham, June 2015. Please join the Southwest School of Art for a special panel discussion with Tami Kegley, Paula Owen, Gary Sweeney an Luisa Wheeler on their experience at the 12th Havana Art Biennial and recent travels through Cuba. The event will be held Tuesday, June 30th, 2015 at 5:30 pm. The panel discussion will be held at the Russell Hill Rodgers Lecture Hall at the Navarro Campus (300 Augusta Street, San Antonio, TX 78205). Posted in Art Events, Talking Art.